Well, I haven’t seen her in about 6 months. And not only have I not seen her – but I’ve hardly SPOKEN to her. Not because of a fight or anything – because of LIFE. I was very busy with work this year and over the summer I pretty much stayed SUPER local and went to the town pool every single day. She – on the other hand – was taking her son to services several times a day because he is special needs. Her schedule revolved around her youngest child. Anyway, we FINALLY spoke last week and yesterday she came over for a play date with the kids. It was SO GREAT TO SEE HER. Even listening to the way she spoke made me happy. We say the same exact sayings and have the same mannerisms. I realized how much I missed having her in my life last night. So, all in all, it was a really great day. While we were hanging out, she mentioned that she wished she was made of $ because she is struggling to keep up with therapy that her son requires each week. It’s a huge financial burden on them but something that she HAS to do (naturally). I joked with her that I had money in a past life because I’m a reincarnated Vanderbilt. I swear to you – I really did say this on multiple occasions. I was convinced my life wasn’t … right. Eventually I stopped saying that. OH MY WORD how mean was I as a child? But I can’t take it back – it happened. I truly remember BELIEVING THIS. I used to wait for someone to tell me there was a mix up and then whisk me away to a mansion. It’s laughable now of course. I can’t believe I’m writing this. LOL. This is borderline embarrassing. Anyway, I thought to myself, “If I lived here, this would be my room.” And continued to walk around. 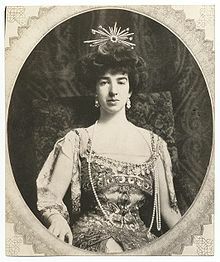 Then I saw the picture of Gertrude Vanderbilt and I froze. I know you aren’t going to believe me, but I looked like her as a child. I mean – a lot like her. When I was around 10-11, she could have been my mother. I didn’t say anything and finished the tour. When Bill and I were back in our hotel room, I told him about the whole thing and how I thought I looked like Gertrude. He said he thought he same thing when he saw the picture. I looked her up on the Internet to see if she was dead and naturally she was. And right then and there – I convinced myself that I am Gertrude reincarnated. Yes, I belong in the looney bin. My husband entirely ignored that statement and quite frankly I just laughed it off as well. It’s all a joke of course. I wouldn’t bet my LIFE on this fact. It’s really in jest. But she did have a love for art and creativity (founded the Whitney museum) and I’ve been a writer my entire life (poems, short stories etc). It’s just something I say to make my friends laugh at this point. After I told my friend, she said “We could find out this weekend if you are or aren’t”. I asked how?? Apparently, there is this woman from New Mexico who travels the country doing a Medium tour. She’s here TODAY only and it was a last minute addition. My friend got the email on Wednesday. She said that we should go because she wants to ask about her special needs son and was looking for someone to go with her for the last few days. I am a very spontaneous person so I said YES! 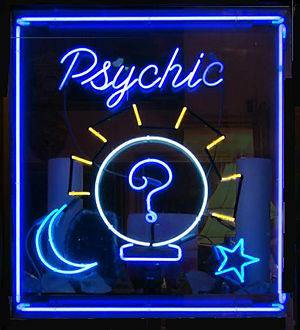 We called and booked two half hour appointments and are meeting in a few hours. I don’t know how this all happened but I am nervous as can be. I’ve never been to a medium before. It’s a new experience for me. I would love to talk to my grandfather and am hoping he comes through. 🙂 Truthfully, I don’t have my hopes up. The majority of these people are cons – though I believe in the gift. Have you done anything like this before??? I can not wait for the update on this post, Vera!